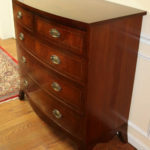 This is a gorgeous hand-made 5 drawer banded flame mahogany dresser in excellent un-restored condition. 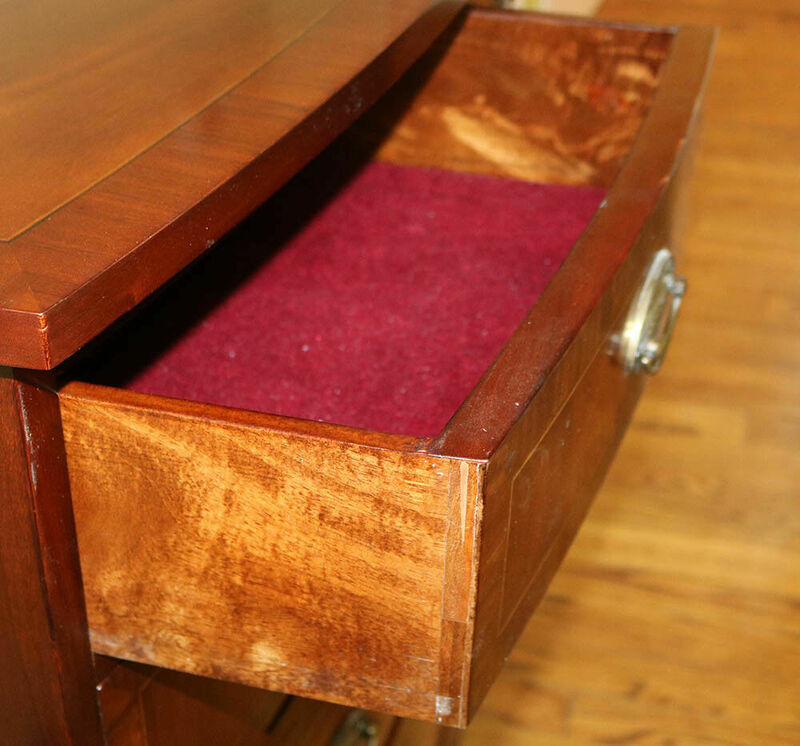 The dresser is designed in the Sheraton taste and even has felt lined drawers and gorgeous wood quality. 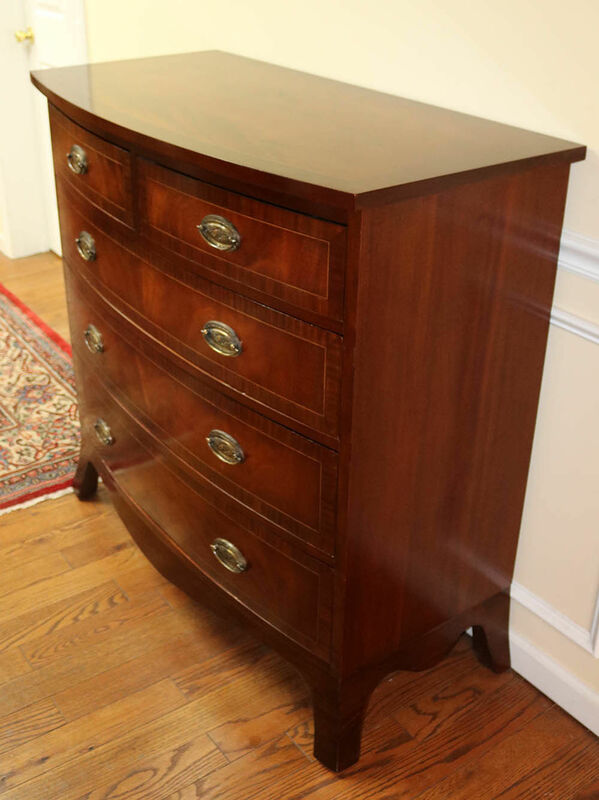 This is a truly stunning and high quality dresser that will serve you well and make you happy for many, many years. Dave 215 749 2104 for questions about the dresser or delivery costs.